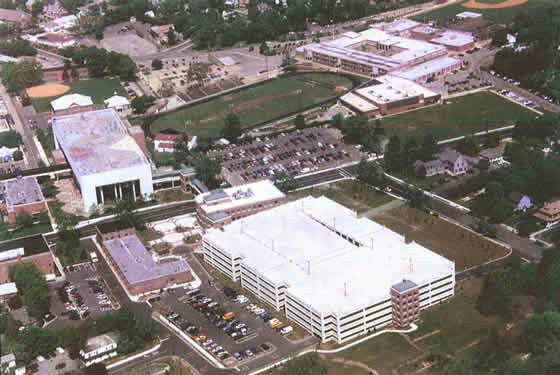 The Ocean County Parking Garage & Office Complex, located in Toms River, New Jersey, consisted of a 1,500 car post-tensioned parking garage, office complex and pedestrian bridges. Thomas P. Carney, Inc. was the single prime contractor and self-performed 65% of the project including 100% of the post-tensioned concrete work. 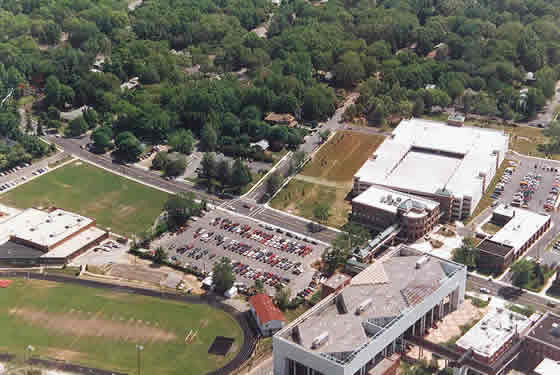 Three post-tensioned concrete enclosed pedestrian bridges connecting the office building to the parking garage, the office building to a stair and elevator hub across a 70′ wide roadway, and the hub to the Administration Building and Court House. 50,000 s.f. 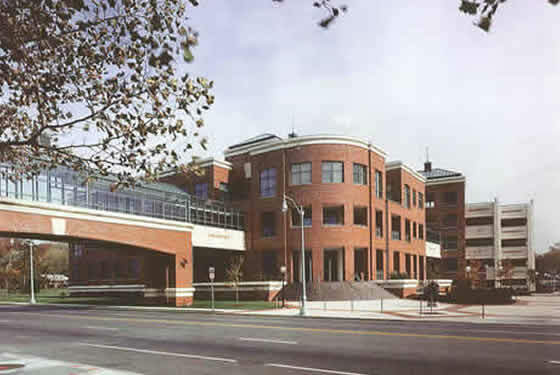 ; 3-story structural steel and brick façade building with a basement that houses County offices and includes a conference area.